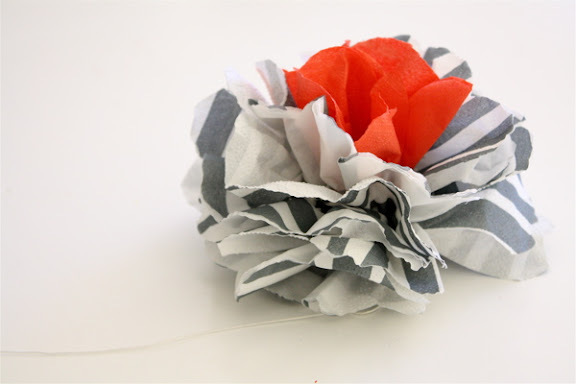 Pass the Cereal: A fabulous twist on the tissue pouf! A fabulous twist on the tissue pouf! 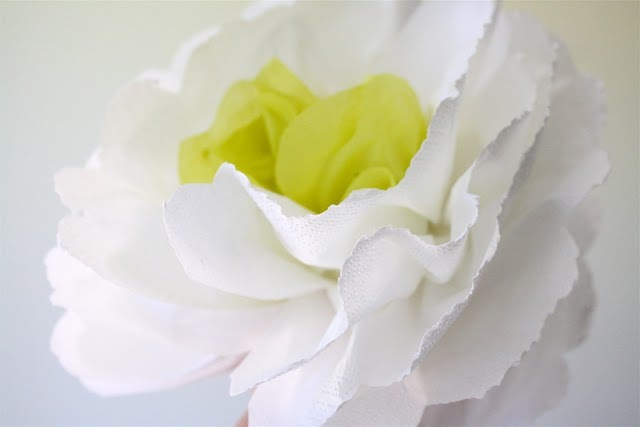 These paper flowers are incredible! My favorite kind of craft...simple, inexpensive and fabulous! 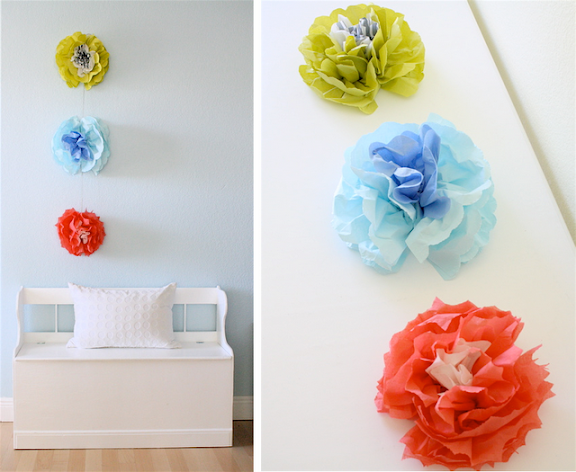 Dana (whose blog is also fabulous by the way) shows the flowers as decor...such a great way to brighten the space! 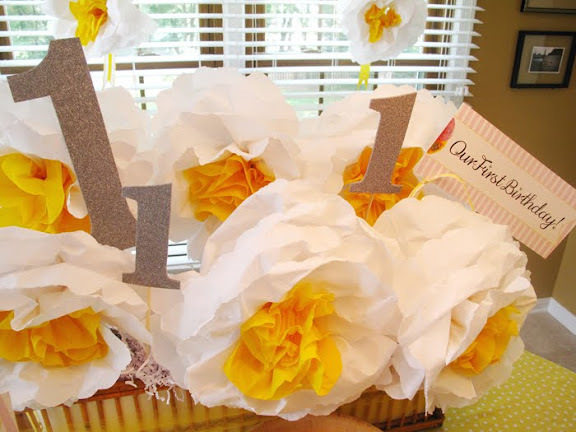 But I originally saw these lovely flowers on Catherine's incredible blog where she used them for her super cute first birthday celebration for her daughters (p.s. their party was adorable!). Isn't it also cute in patterns? Could be a super cute garland? Or how about a bouquet of magnolias? Let's face it...I'm going to be making some of these soon! Anything that feeds my paper flower addiction while also being super easy & quick is fine by me. Must make these for my sister's wedding and/or shower! Suggestions on how you would use them? ?